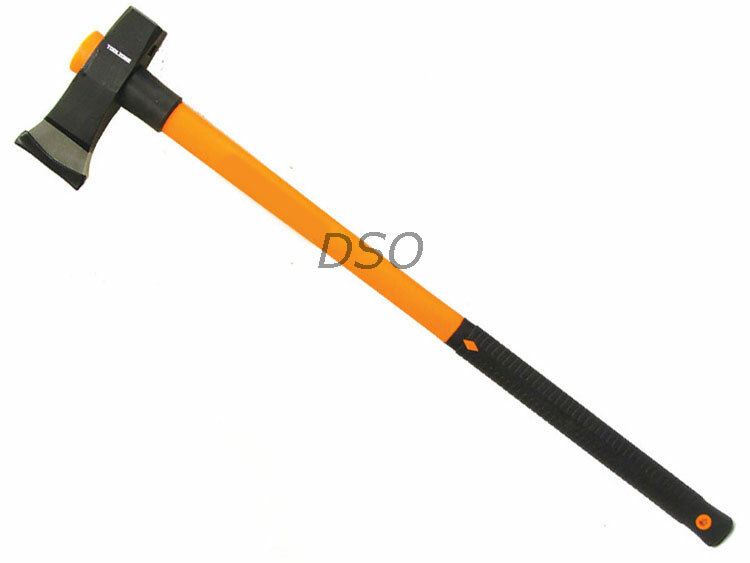 This is one the finest 6lb axe maul ever for sale in the UK. It has been superbly designed by loggers who these on a daily basis. It is primarily used to split logs for firewood or by professionals such as fencers or builders for cutting through tree roots. Designed by professional for professionals. The maul has a dual purpose. Obviously the sharp end for direct hit and split while the blunt is used as a splitter. This can be hit with sledge hammer to help split the awkward log. hammer. The extra woven fibre glass handle gives tremendous strength whilst the very unique design of how the head sit in the end of the handle. The handle protrudes out of the which prevents head from detaching itself from the handle. Have a look at other mauls available to see if this feature is available or not. Take a look at the picture provided to see what we mean. Features : Protruding shaft on axe head.